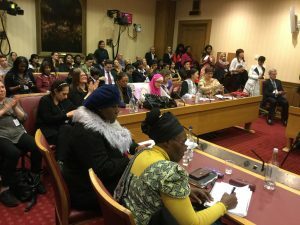 #PressforProgress - a special International Women's Day event at the Houses of Parliament. Imagine a world where a female, no matter her age, can participate in politics, receive an education, have her own income, and dress and speak with no fear of discrimination or violence. Imagine a world of equality and acceptance. The greatest achievements, accomplishments, studies, movements, amongst others all began with the start of an idea. It was the dedication and free will of the individual and/or groups to spread their ideas that make it into reality. They made it happen. Collectively we can all play a part. Vanessa Kirk from Civil Service Local Midlands attended and gave us her account. We cannot achieve parity unless we are all in it together, no them and us. Self empower and leave the door open behind you to empower others. Nothing should hold you back, you can do it! These powerful and influential female speakers and the room full of attendees, all so passionate about equality and gender parity, made the event such a success. I walked through into St Stevens Hall where The House of Commons sat until a fire in 1834. A highly impressive and essential part of the Houses of Parliament. It has intricately tiled floors, high ceilings with a gigantic chandelier. Arches surround huge windows and the stained glass windows are magical. Statues of kings and queens of England and Scotland from Edward I are all lined up either side of the hall. The Central Lobby then follows, which is the crossroads between The House of Commons and The House of Lords and this is where the suffragettes had their scuffles. 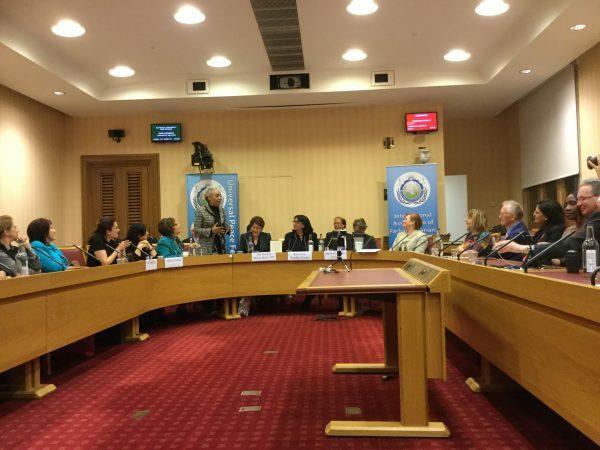 I have been on the Civil Service Local Midlands team for nearly 12 months and the networking skills I have learned came into practice as I got speaking to a gentlemen who invited me into the House of Commons. I couldn’t believe my luck as I sat on in the gallery on the famous green leather chairs and watched a live debate. Jeremy Corbyn and Theresa May intensely discussing and battling out political debates. I was also invited into the House of Lords, up windy narrow stairs and onto the public gallery, I had a full view of the golden chair and the wall behind it dripping in gold. The whole place was steeped in history, and the famous portcullis chairs, apparently designed in the 1840’s, in impeccable condition as if they had never been sat on. Want to know more about Civil Service Local? If this blog has inspired you to join us, or if you'd just like to know more about what we do, please contact me.